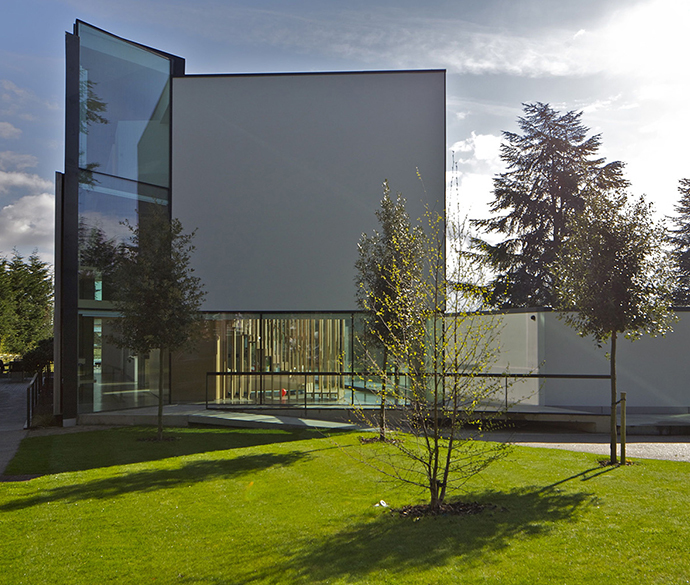 This new build, private residence in Epsom is comprised of a main living block and a detached pool house. 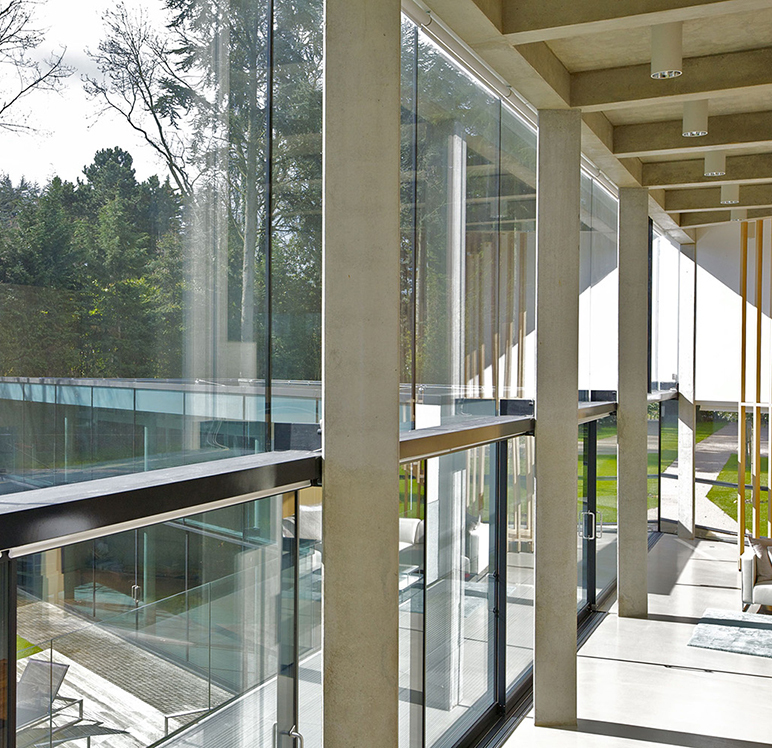 Both structures are characterised by their use of visually exposed concrete, which provides essential thermal mass to help moderate the internal environment, and extensive glazing. 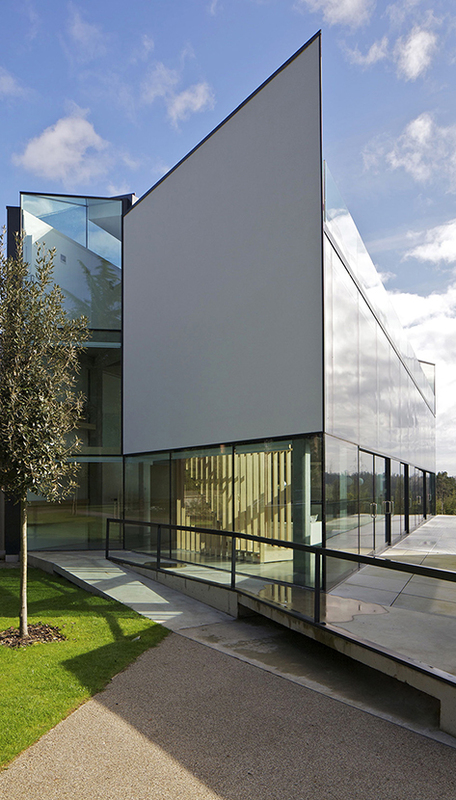 Almost every detail of the house was engineered, including the structural glazing and the unique timber entrance stair constructed from the slightest of timber members. 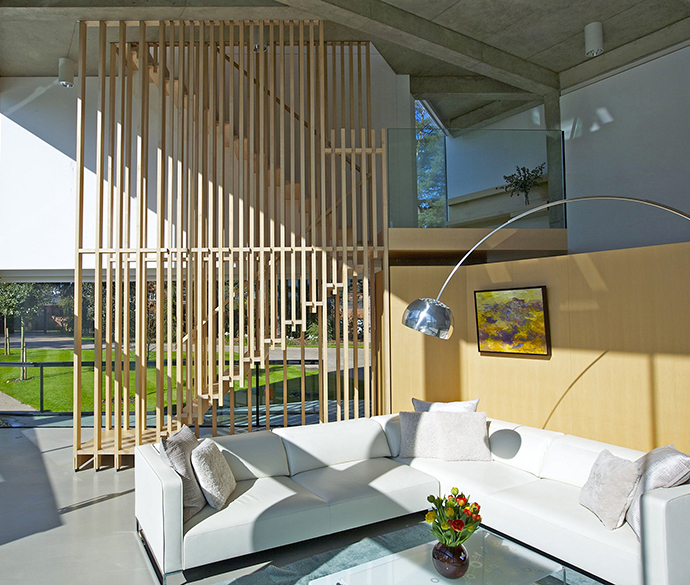 The house’s east elevation features 30mm-thick steel fin columns with precision-machined connection details, allowing for nearly uninterrupted views of the surrounding landscape. The south elevation is dominated by the double-height, 6m-tall glazed façade with slender concrete columns, triangular in section. 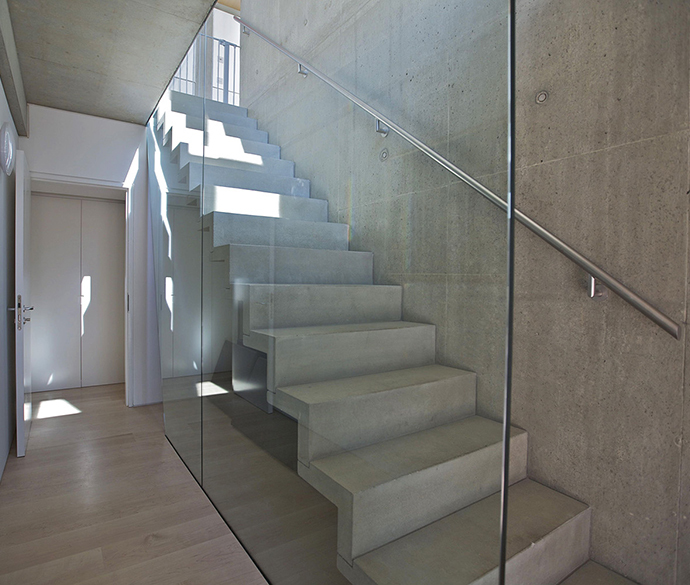 A cantilevered precast concrete stair, designed to the principles of historic stone staircases, was fabricated off site to control its quality and installed toward the end of the build to avoid any damage from ongoing construction works. 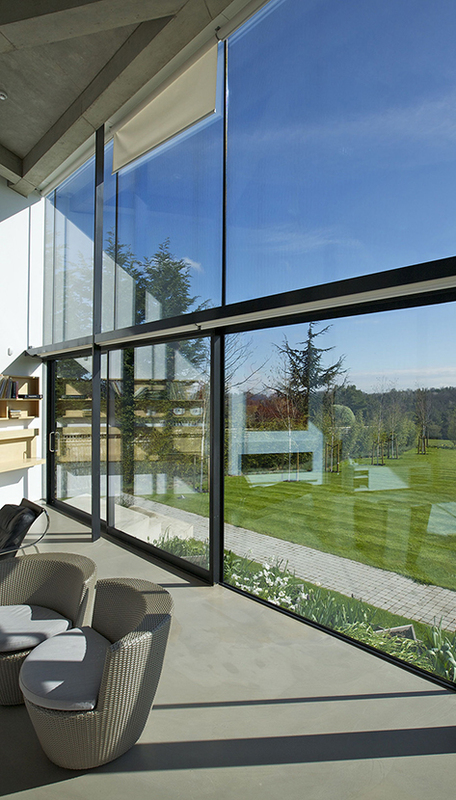 In 2011, House in Epsom won a RIBA Regional Award and was shortlisted for the RIBA Manser Medal. 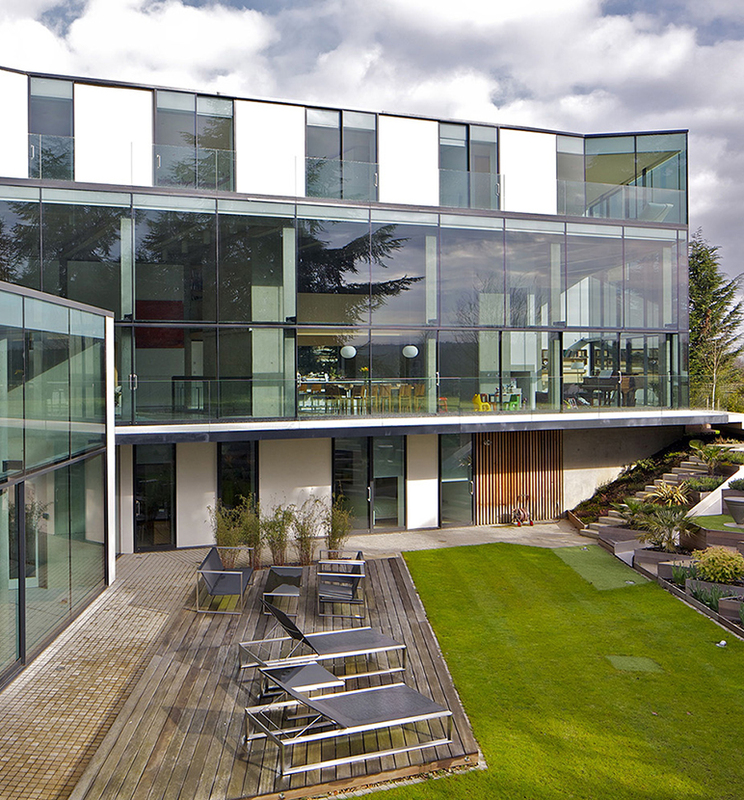 In 2012, it was shortlisted for the Small Practice Award at the Institution of Structural Engineers’ Structural Awards.